Great America is Northern California's ultimate family theme park and entertainment destination. 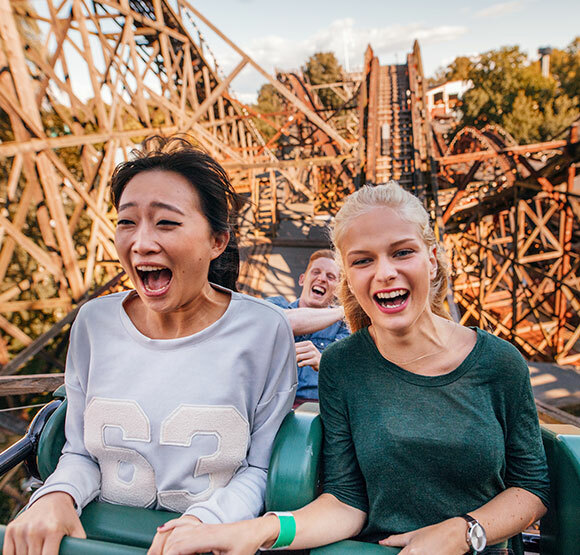 Located in Santa Clara, this amusement park features thrilling rides and pulse-pounding coasters like Demon, Gold Striker, Flight Deck and Grizzly. Slide, splash and chill at Boomerang Bay, with plunging water slides, rides and attractions. Kids love the live shows, like Charlie Brown's Happy Campers and Peanuts Jam Session. California's Great America delights families with great dining, fun events and Star Tower, the tallest observation tower in Northern California. Is there dining in California's Great America? Having fun at the most exciting amusement park in the Bay Area can work up an appetite. California's Great America offers many casual eateries and fast food vendors, including American Cafe, Game Time Sports Bar, Subway, Panda Express and Outback Shack. Stop by Maggie's Smokehouse & Fried Chicken for pulled pork, ribs, rotisserie chicken and their legendary fried chicken. Regular parking is $15 per vehicle and $18 for Preferred Parking. RV parking is $22 per vehicle. There are several handicap parking spaces near the Front Gate. School and tour buses are free. A drop-off area is located just past the entrance on Great America Parkway for added convenience.